KinectExtras with MsSDK is an extension of the Kinect with MS-SDK package. It provides additional examples and demos, based on Kinect SDK that are not directly related to transferring human motion onto digital characters. The package consists of Kinect Interaction demo presenting hand cursor control as well as hand grips and releases, Speech recognition example, Face-tracking example and Background-removal demo. It is possible to integrate all Kinect-related features in one project, i.e. to make KinectExtras and KinectManager (from ‘Kinect with MS-SDK’-package) work together. This package is for Kinect v1 only. It supports 32-bit and 64-bit builds and can work in both Unity Pro and Unity Free editors. This package is free for academic use (i.e. for schools, universities, students and teachers). If you match this criterion, please contact me by e-mail to get the KinectExtras asset directly from me. Unity 5.0 and later introduced an issue, which causes in many cases Kinect tracking to stop after 1-2 minutes with DeviceNotGenuine error. As a result you will see that the Kinect-enabled game freezes. There is no definite workaround yet. My advice is: If you encounter this issue, please install Unity 4.6 along with Unity 5 (just in another folder) and use the K1-assets in Unity 4 environment. See the updates here. 1. Download and install Kinect SDK 1.8 or Kinect Runtime 1.8 from here. 2. Download and import the KinectExtras-package. 3. Open and run the scene of your choice, as described in the corresponding Readme pdf-file, located in the Assets-folder. 1. Open KinectScripts/KinectWrapper.cs and near its start uncomment: #define USE_KINECT_INTERACTION_OR_FACETRACKING. 2. To integrate Kinect speech recognition with the KinectManager as well, uncomment also: #define USE_SPEECH_RECOGNITION. 3. Open KinectScripts/InteractionWrapper.cs and near its start uncomment: #define USE_KINECT_MANAGER. 4. Open KinectScripts/FacetrackingWrapper.cs and near its start uncomment: #define USE_KINECT_MANAGER. If you plan to use face-tracking in the scene, don’t forget to enable the ‘Compute color map’-setting of KinectManager-component. It is needed for the face-tracking to work. 5. If you have uncommented ‘USE_SPEECH_RECOGNITION’, open KinectScripts/SpeechWrapper.cs and near its start uncomment: #define USE_KINECT_MANAGER. 6. Make sure that both KinectManager and the Extras’ managers, like the InteractionManager, FacetrackingManager or SpeechManager are components of the MainCamera (or other persistent game object). 7. Open KinectScripts/KinectManager.cs and at the start of its Awake()-method add this line: ‘WrapperTools.EnsureKinectWrapperPresence();’, in order to ensure the presence of the needed native libraries. Also, make sure that the Assets/Resources-folder from KinectExtras-package exists in your project. 8. If you use only the KinectManager-component (but not any of the KinectExtras-managers) in the scene, Open KinectScripts/KinectManager.cs and at the start of its Update()-method add this line: ‘KinectWrapper.UpdateKinectSensor();’. Normally, the KinectExtras-managers do that for you. 9. Run the scene to check if the integration works properly and without errors. The official release of ‘KinectExtras with MsSDK’-package is available at Unity Asset Store. The project’s Git-repository is located here. This repository is private and its access is limited to contributors only. * If you get DllNotFoundException or other initialization errors, make sure you have installed the Kinect SDK 1.8 or Kinect Runtime 1.8. * The examples were tested with Kinect SDK 1.7 and 1.8. 1. Added support for x32/x64 architecture at runtime. 2. Improved face tracking – fixed native routine responsible for skeleton selection. 3. Updated mouse cursor control to match the game window. 4. Updated speech error handling to display messages instead of error codes. Our school just recieve a kinect ver 1 donation and i really need to learn it before, because we will use it for material in next semester. And the second option from github also not available. Can you tell me where the new download page or is it not available anymore? Hi there, I deprecated the KinectExtras-asset long time ago, because it is now fully integrated into the K2-asset. If you still need it, send me an e-mail and I’ll send you back the KinectExtras-package. I’m actually hunting for this as well. Is there a repo version I can pull from somewhere? Yes, there is a BitBucket repository, but it has private access only. If you need the package, please contact me by e-mail and I’ll send you the package. Hello Rumen, I would like to get access to the KinectExtras-asset. Can you send me this, please? And thank you for developing this tool. I’m using it to develop an educational game, and the results are excellent. I’m just having the problem using the Unity version 5. I’ll try to downgrade to 4.6 to see if solves the problem. Hi, please send me an e-mail and I’ll send you back the KinectExtras-asset. Look at the About-page above. could you share this package for me ? You could send me KinectExtras-asset please? I need urgent for college work. Yes, I could. Please send me an e-mail request and I’ll send you back the KinectExtras-package. Ok, I got your e-mail. Oh and I sent an email to you, can you send the the Kinect-Extras asset? I need it for my college assignment, Thanks. 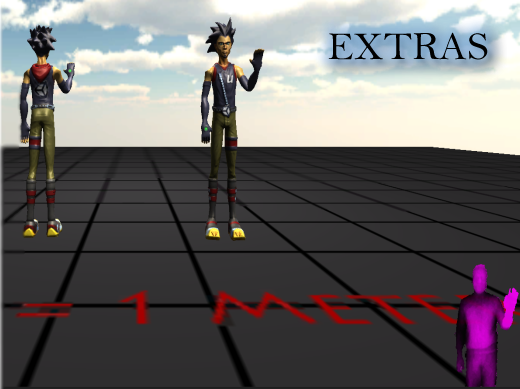 See the interaction demo in KinectExtras. It uses hand grabs and releases, which I suppose you look for. Hi rumen, I see you’ve sent the kinect extras package to some people that asked for it. Could you please send me a copy too? I’d help me a lot. Hi, no problem. Please send me an e-mail from this address. This is only to prove that it is really your e-mail. Hi Rumen, Could you please send me a copy too? I’d help me a lot. Hi, please send me your request from this e-mail address, and I’ll send you back the extras-package. This is to prove this e-mail address is really yours. seems like is not being included into the final binary, I’m using API compatibility .NET 2.0 (mandatory) on unity 5.4.3f1 32bit. I appreciate your help. It’s an emergency HELP please!! All needed dlls should be in the Assets/Resources-folder, with extensions ‘.dll.bytes’. At runtime they are copied to the root-folder of your project (the parent folder of your project’s Assets-folder), and then loaded by Unity from there. Make sure you have imported the Resources-folder from KinectExtra-asset into your project. And, as you use both the Kinect-asset and KinectExtras-asset, make also sure that you have followed the steps from ‘How to integrate…’-section above. Yes, sure. Just e-mail me your request for KinectExtras, and I’ll send you back the latest package release. I have just emailed you, thanks. The Playmaker package for Kinect and KinectExtras is not mine, and I don’t have it. Please turn to its authors. Can you share the KinectExtra Package as it is no longer available in Assets store? Yes, I deprecated it on the Asset store long time ago. Please e-mail me your request and I’ll send you back the KinectExtras-package via WeTransfer. Hello Rumen, could you please send me a copy of KinectExtra package? I am working on a project with Kinect V1. It would be great if you could share this package! Hi, please e-mail me your request for KinectExtras, so I could find out where to send the package.